If bookmakers offered odds on Britain and Ireland's champion Flat sire, it would be the least competitive market imaginable. Galileo has taken the title every year since 2010 – by increasingly wide margins – and will most likely continue to do so well into the next decade. Betting without the winner would be obligatory. Galileo's dominance has been sealed by him covering books of outstanding quality each year at Coolmore, in large numbers to boot, and this year's two-year-old crop by the phenomenal sire is once again replete with siblings to, and offspring of, top-class names. In 2015, when this year's juveniles were conceived, Galileo was sent 181 mares, 147 of whom (81 per cent) were winners, with 92 (51 per cent) Pattern winners. That covering season resulted in 125 foals. Of that trio, only Sharp Lisa's son is currently recorded by Weatherbys as in training with Aidan O'Brien but the other two, fellow Coolmore homebreds, will surely follow suit. Then there are the half-siblings to Group/Grade 1 winners by other stallions, listed below. 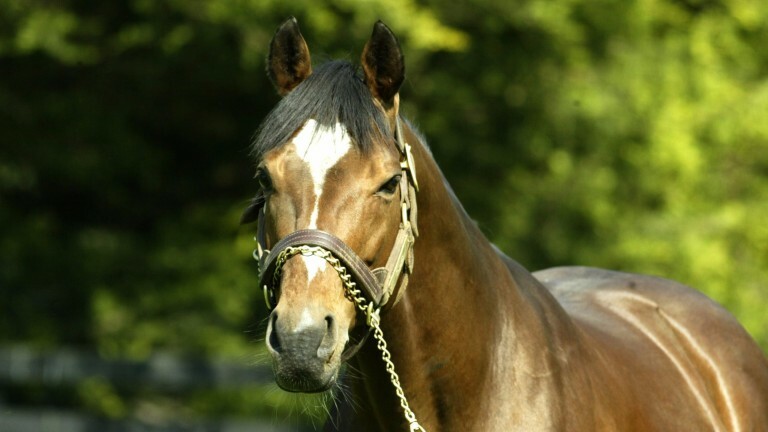 Look out for the one or two cases where the dams have managed to throw an exceptional athlete when matched with lesser sires than Galileo – it tempts you to wonder what those mares might achieve with an upgraded mating. More and more Galileo two-year-olds are now having the wraps taken off of them earlier in the season. Indeed, Aidan O'Brien sent out 12 before Royal Ascot last year and although none returned to the winner's enclosure, the number included subsequent champion juvenile filly Clemmie and Group winners Gustav Klimt, Happily and The Pentagon. The trend has been accelerated by Coolmore and other breeders increasing the volume of mares with pace and precocity sent to Galileo to repeat a recipe whose success has been advertised by Frankel as well as last year's Newmarket Guineas winners Churchill and Winter, and Gleneagles and his fellow Group 1-winning siblings Happily and Marvellous. The brilliant Highland Reel and his high-class brother Idaho have vindicated Coolmore's international search for mares to send to Galileo as he is out of the Australasian Oaks third Hveger, an Australian-bred daughter of Danehill – the ace shuttler who has clicked so well with the champion sire. The mare had already produced Group 1 performer Valdemoro at stud in Australia before being flown to County Tipperary. Hveger has been mated with Galileo every year since she arrived in Ireland in 2010 and she has a two-year-old colt by the sire, a brother to Highland Reel and Idaho named Cape Of Good Hope, in training with Aidan O'Brien again. Finally, two juveniles who we should not expect to see on the racecourse for a good few years yet. Thanks to his close association with Coolmore, JP McManus has been able to do what any other jumps breeder could only dream of doing: send National Hunt mares to Galileo, whose Flat cast-offs include Celestial Halo, Supasundae and Windsor Park. Hi Native, a daughter of Be My Native who is the dam of Grade 1-winning chaser Gilgamboa, has a filly bred in the name of McManus's son Kieran, while Cross The Flags, a Flemensfirth half-sister to the family's homebred Cheltenham Gold Cup hero Synchronised – who was by Galileo's sire Sadler's Wells – has a colt bred by McManus's wife Noreen. Those jumps-breds were rarities in Galileo's book of mares in 2015, which was dominated by mares descended in the male line from Danehill – Galileo over Danehill being the cross responsible for Frankel and 11 other Group/Grade 1 winners. In fact, just under half of all the two-year-olds Galileo has to run for him this year – 60 out of 125 – are out of mares who hail from that sire-line. Nineteen are out of mares by Danehill, while 14 and eight are out of mares by Danehill's sons Danehill Dancer and Dansili.